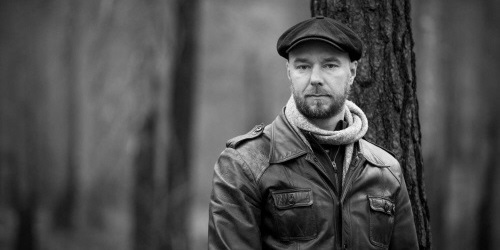 Selling over 25 000 copies of his first novel The Italian (2003), Karlsson was awarded several literary prizes and kept readers anticipating The American House (2008). Critics were struck by Karlsson’s strong voice, well-balanced black humor and the prosy beauty of his writing. Born in the Swedish province, Sven Olov Karlsson currently lives in Stockholm with his family. In Brandvakten (2017) he describes the 2014 wildfire that destroyed a forest area three times the size of Stockholm including his own property.